A Sunday morning work day. 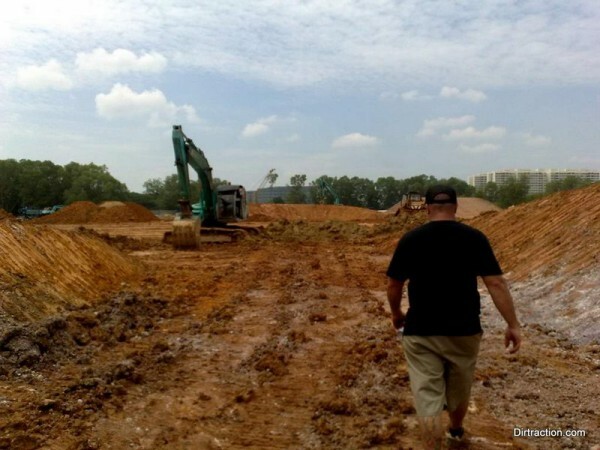 soil sites are dryer after the heavy downpour around Singapore yesterday. We spent a some times auditing the right soil for the day, and the soil kept flowing in nicely to finish turn 1,2,3 and the straightaway 1.
and we took the opportunity to stockpile good soil for the jump build for the rest of the day.